Injury ghost starts haunting Stormers early … again! And it seems it’s robbed the Capetonians of two big names. 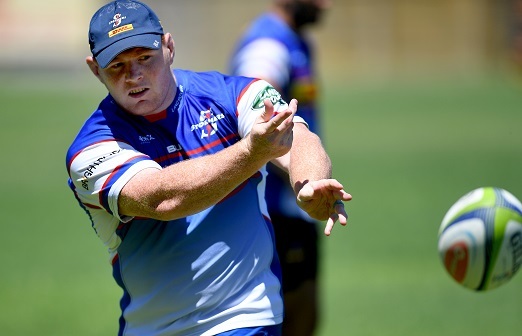 The Stormers suffered a potentially big setback on the eve of their Super Rugby season opener this week, with Springbok prop Steven Kitshoff pulling his hamstring during the Stormers’ runaway 87-5 win over Boland in their final warm-up game in Wellington at the weekend. Kitshoff was replaced after just 20 minutes, along with fellow Bok prop Frans Malherbe who took a knock to his knee, though Stormers coach Robbie Fleck admitted afterwards that Kitshoff was probably the more serious concern ahead of this week’s clash with the Bulls at Loftus Versfeld. With a 28-man squad, Fleck introduced nine Boks in his strongest line-up, and he felt it was probably more important to give everyone a good run than worrying about the result. Together with the previous week’s 33-28 win over the Bulls in Cape Town, Fleck believed they were on track for the opener, which promised to be a big game between the arch-rivals. “The pleasing aspect is that there are still work-ons and we will rectify that before we go to Loftus,” Fleck said. The Stormers ran in 13 tries, while between wing SP Marais, flyhalf Damian Willemse and replacement flyhalf Jean-Luc du Plessis, 11 were converted. “If we can get that balance right between the offloads and build a couple of phases and generate some quick ball, we can be a lot more dangerous,” Fleck said.